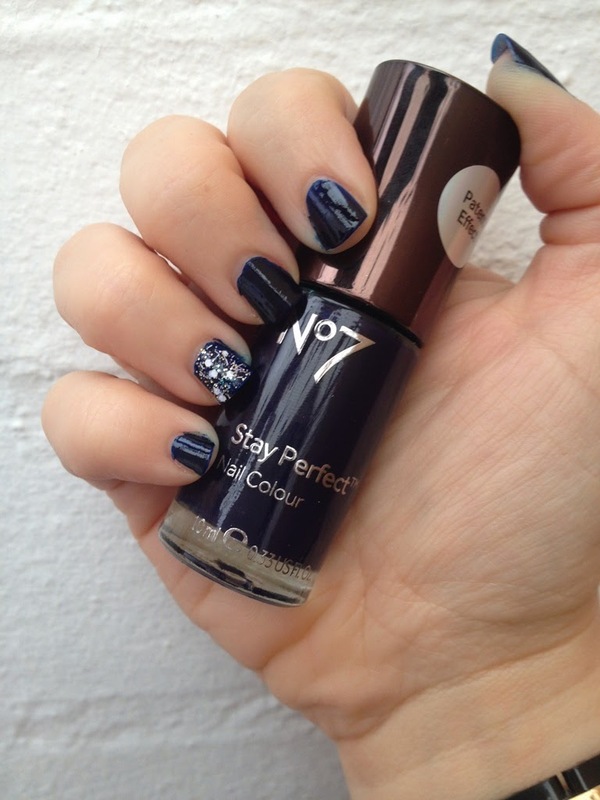 Today's Nails Of The Day features one of my favourite ever top coats from Nails Inc - Snowflake Whitechapel over No7 Stay Perfect Nail Colour in Blue Patent. As I suspected it is utterly gorgeous! I've got a thing for blue nail polish. Love that navy.